The Environmental & Water Sciences division was established in 1990, with a mission to supply companies and factories with the right solutions in water treatment and prevention of environmental pollution as well as water analysis and monitoring. The division has a team of specialised engineers and technicians that can accurately diagnose problems and provide solutions. We aim to achieve good results and present solid models in the field of environment and water treatment as well as water analysis and monitoring ; an important initiative for all countries of the region to ensure and maintain high water quality for their people. We also aim to sustain the available resources of clean and safe water and reuse treated wastewater from the industries and sewage plants, for irrigation and other general purposes. Supply of Water test equipment & reagents, and water quality monitoring solutions. Supply of Water treatment membranes, filters, pumps, and accessories. Supply of Speciality chemicals for cooling towers and boilers. Supply of Speciality polymers for drinking & wastewater treatment plants. Supply of Anion, Cation and Selective ion removal resins. Supply of Swimming pools and spa related chemicals. Lab Instruments, chemicals & consumables. Their mission is to ensure water quality for people around the world. With the vision to make the water analysis better—faster, simpler, greener and more informative—via unsurpassed customer partnerships, the most experts, and reliable, easy-to-use products. Since their founding, they have been committed to providing high-quality products that are accurate and simple to use. The former “General Electric Water & Process Solutions” business unit which is acquired by “Suez” is one of the biggest industrial companies in the world and a well-known company which brings advanced technologies to solve the world's most complex challenges related to water scarcity, quality, and productivity. We are in collaboration with them in the field of Filters, membranes, R.O units & solutions, MBR, boiler, cooling tower and chillers treating chemicals. As a strategic business partner, GE-Suez offers the most comprehensive set of chemical and equipment solutions and services available, helping their customers manage and optimise their water resources and process challenges across industries and municipalities. The main goal to enable customers to meet increasing water demands and population needs, overcome scarcity challenges, enhance their environmental stewardship and comply with regulatory requirements. 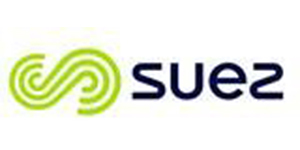 Expertise and innovation define Suez Water Technologies & Solutions rich history. They continue this tradition today with a continued focus on research, development and invest in people. BASF SE is Euro-American chemical company and the largest producer in the world. BASF provides a comprehensive range of water treatment chemicals, including flocculants and coagulants especially designed for the solid/liquid separation process in the industrial and municipal wastewater treatment sector. At BASF, as they say, “we create chemistry for a sustainable future. We combine economic success with environmental protection and social responsibility. Through science and innovation, we enable our customers in nearly every industry to meet the current and future needs of society”. 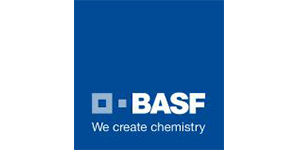 BASF aims to strengthen its position as the world’s leading chemical company. They describe how they intend to achieve this in their “We create chemistry” strategy. 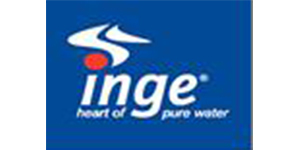 Inge GmbH was founded in the year 2000 and is headquartered in Bavaria- Germany. In August 2011 inge® became part of BASF, the world´s leading chemical company. The company Inge GmbH develops innovative Ultrafiltration technologies used in the treatment of drinking water, process water, sea water and wastewater. Inge systems purify water by reliably removing bacteria, viruses, particles and suspended solids. Inge has completed numerous reference projects worldwide which have confirmed the outstanding performance and durability of their top-quality, German-made products and solutions. Taking advantage of BASF’s long years of experience and industry expertise allows their team of ultrafiltration experts to assist customers in planning their treatment facilities and finding the best solutions to meet their needs. Rohm and Haas Company is a manufacturer of specialty chemicals for water treatment; a French manufacturer of all types of Resin used mainly for Ion Ex-change in water treatment. 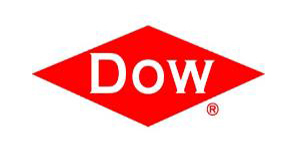 Their products are being graded as first-class ones, this company has been acquired by “Dow”, and their products are being sold as “Dow” products. 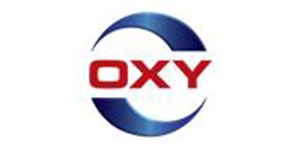 OxyChem is a leading North American manufacturer of chlorine and water treatment chemicals. OxyChem is the U.S. merchant marketer of caustic soda and the world's largest producer of caustic potash and calcium chloride. Their products of disinfectant chlorine for wastewater, drinking water, potable water, and swimming pools with multi forms of powder, granular and tablets. OHAUS Corporation manufactures and markets an extensive line of balances and scales that meet the demands of virtually any weighing need. Ohaus is one of the global leaders in the laboratory, education, industrial channels as well as a host of speciality markets, including food preparation, pharmacy, retail and jewellery industries. An ISO 9001:2008 manufacturer, OHAUS products are precise, reliable and affordable, and are backed by industry-leading customer support.